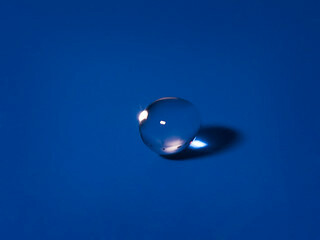 Drop of water just before it hits the sheet of plastic. Test with the Arduino Duemilanove microcontroller to control delay. Now it's much easier to control the delay as i can program it from my PC. Now i'm waiting for a solenoid valve for the setup so i can control the drops too and start it all with a push of a button.